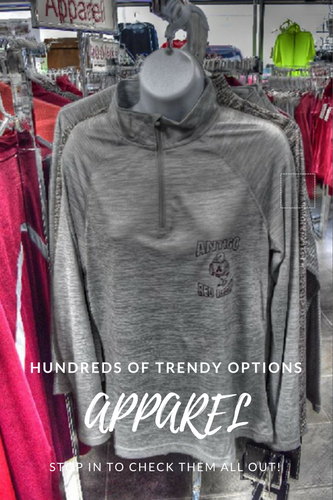 Antigo Sportswear – Custom Apparel! 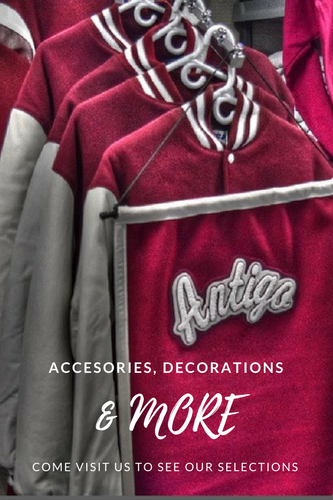 Antigo Sportswear puts a lot of effort into making sure we have just what you’re looking for! Whether you need a new shirt for the football game, a custom shirt to show support for your family member or friend, or a gift for a holiday or event. We promise to always have many great options in stock for you to choose from! Antigo Sportswear wants to give you the exact item you’re looking for. This is why we have mastered the art of customizing apparel. We have several techniques that allow us to efficiently customize the clothing our customers are looking for. Don’t miss out on our embroidery service. Pick one of our designs, or bring your own. We can add a beautiful, full-color embroidery to any of our hundreds of apparel items. Heat transfer is one of our specialties. We can quickly transfer a beautiful design to the garment of your choice. Choose from dozens of stock designs, or bring your own! your apparel selection, your design choice! Stop by our store located at N2440 US-45, Antigo, WI. We have hundreds of trendy items and great fabrics on hand at all times. We have dozens of eye-catching designs for you to choose from. Find your style! In just a few short minutes you walk out the door with your custom item. 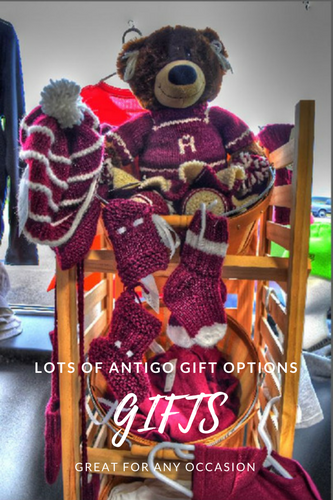 Antigo Sportswear is a family owned and operarted company that prides itself in providing top quality products and great customer service.